Olin Bailey Lewis was born on March 12, 1861 in Weyauwega, Wisconsin. He graduated from Omro High School in 1879 and entered the University of Wisconsin the same year. He taught school to support himself during this time, including as a chemistry instructor at the University. During this time he also married Della Barnett in 1885, and they eventually had one son and two daughters. He graduated from the University of Wisconsin in 1889. After being admitted to the bar he came to St. Paul and formed a law partnership with Oscar Hallam. Lewis was nominated and elected to the St. Paul City Council in 1894. In this capacity he formally represented the city at the launching of the ocean liner “St. Paul.” In 1896 he was also a member of what became known as the “retrenchment committee,” which was committed to reducing government expenditures and revaluing the City’s real property. The movement ultimately reduced the valuation of property of St. Paul by $30,000,000. Lewis was nominated for a Ramsey County district judgeship in 1896, and was elected that same year. Under Lewis’s direction as senior judge, the Ramsey Judicial District likewise gained a widespread reputation for docket efficiency, but Lewis’s page on history is not for his efforts to reduce government expense. His most notable case as a judge was the double murder trials of Gottschalk and Williams, wherein both were sentenced to hang. Gottschalk committed suicide before his execution, but Williams’ execution was the botched hanging which ultimately led to Minnesota ending capital punishment. 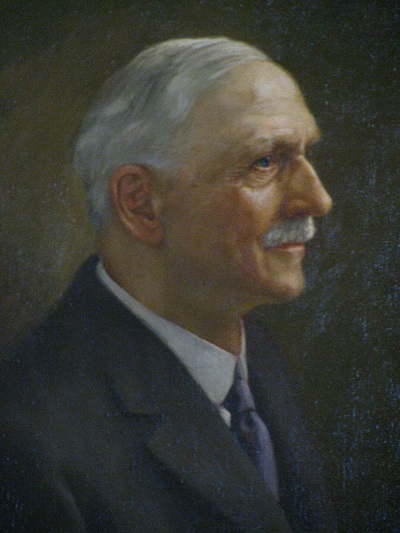 Judge Lewis retired in 1929. He had been ill and applied to the governor for this retirement with a note from his doctor. He stated in his application that he had “become incapacitated physically from performing the duties of my office.” The doctor’s note also indicated that Lewis suffered a stroke the previous November, leaving him brain damaged and his left arm and leg paralyzed. Judge Olin Lewis died on March 28, 1936. J.D. Bessler, Legacy of Violence: Lynch Mobs and Execution in Minnesota, p. 141-160 (2003). E.V. Smalley, A History of the Republican Party from its Organization to the Present Time to Which is Added a Political History of Minnesota from a Republican Point of View and Biographical Sketches of Leading Minnesota Republicans, p. 276-277, E.V. Smalley (1986). Olin B. Lewis, Judge Here for 30 Years, Dies. St. Paul Dispatch, March 28, 1936.